J.R. Ward releases her 14th book (14th!) 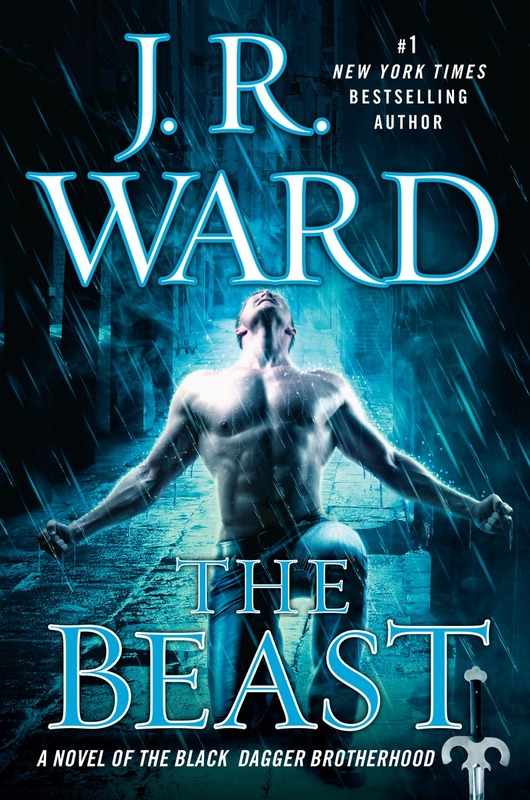 in the Black Dagger Brotherhood series, The Beast, today. 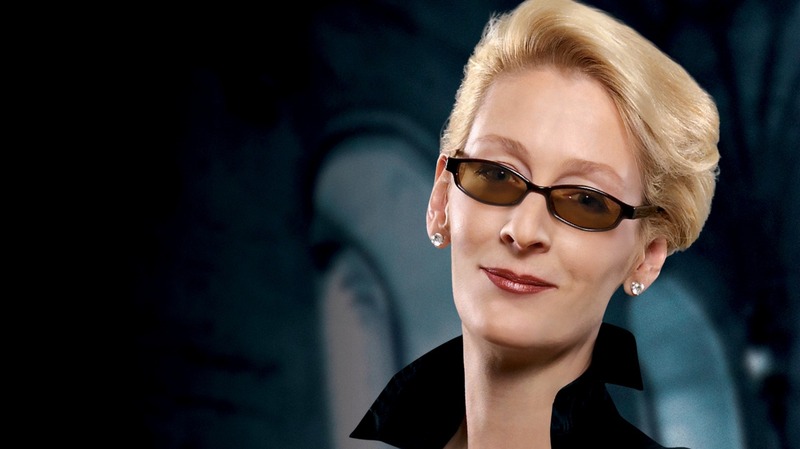 We had the opportunity to pick her brain about it, what she considers to be the best romance novel of all time and what she can’t wait for BDB fans to read in the new novel. Take a look! SheKnows: For people who have never read the Black Dagger Brotherhood series, describe it in 140 characters or less. J.R. Ward: Warrior vampires in black leather pants falling for females who hand their butts to them on a plate if they get out of line. SK: With this being the 14th book in the series, where do you find inspiration to the keep the story going? Do you ever get burned out? JRW: Oh, jeez, the stories just keep showing up in my head — and I really hope they keep it up! I write what I’m told, and as long as I do that, I don’t have any problems with writer’s block or anything. The issues come only when I try to force the story or the people in it to do things they don’t want to. As a control freak, it’s funny that I’ve learned to be so comfortable with being out of control in what is arguably one of the most important areas of my life! But there’s no arguing with the way it works for me. Lover Revealed taught me that lesson, and it was something I’ve only had to learn once. SK: Do you ever read reviews and take reader feedback to heart, and even incorporate them into the series? If so, can you name a specific moment or scene that was fan-inspired? JRW: No, I don’t read reviews or take any feedback from anyone (ummm… see the control freak comment above. And yes, I’m an absolute joy to live with, just ask my husband.) Here’s the thing: The stories don’t even care what I think about them. They don’t listen to anybody! My job is simply to describe what I’m shown in my head so that folks who read the books get an idea of what I’m seeing. As long as that happens, I’m doing my job as best I can. Now, I will say, I’m happy to retweet review links or have my staff do that, but I don’t open the links. In fact, I’ve always kind of thought that reviews written by readers for readers are a kind of private space between consumers. It’s their right to say anything they like about your material, and authors need to know that and respect that. As for my end, I’m aware of what my sales are, so I know that my books are working in the marketplace, at least for now, and beyond that, I have to just do my thing and stay focused. JRW: Oh my God. When Rhage introduces his purple GTO to Bitty! That’s all I can say! But it melted me into a puddle as I saw it in my head. I love Rhage. There’s something so wonderfully unapologetic about him: He is what he is, without a filter, every second of the night or day. And that means there’s an honesty about him which, if you were a slightly nervous, skittish little girl, you would have an intrinsic trust of. Does that make sense? Hopefully, if people read the book, they’ll get it! SK: This series has a huge following and very dedicated fans. They have even created collages of the celebs who would play certain characters. Can you list 10 to 15 characters and the celebs you’d pick to play the role? JRW: Oh, I can’t. I really can’t. I’m so sorry! The thing is, the pictures in my head are so exact and clear, it would be like asking me to pick someone to play my husband or my best friend. Nothing fits just right, and the defects are so glaring, I just can’t reconcile them. I will say, I like everyone here, though… I mean, I’m a happily married woman… but man, any of those boys could wash my car any frickin’ time they like… Paint my house. Vacuum. Just sit there. Without their shirt on — wait, what was the question? 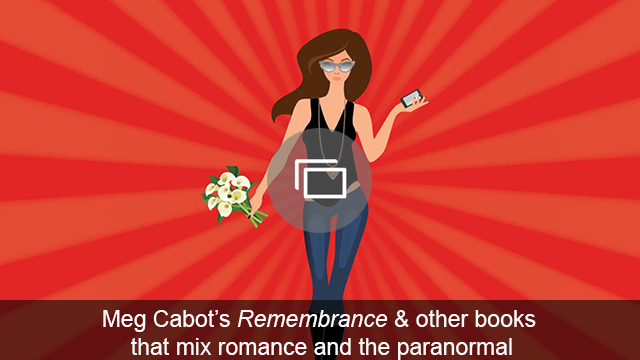 SK: Romance is hugely popular with our readers. What are your top 10 favorite romance novels of all time? And can you explain why in one sentence — for each book? JRW: OK, in case you haven’t noticed, I’m long-winded. It was an exercise in torture to try to do the 140-character question up above. And finally, I did something glib because I failed at the other attempts because I’d write paragraphs. So instead of doing one sentence about 10 books, how about 10 sentences about probably the most important romance novel of all the ones I’ve ever read? So, when I was first starting out as a reader of romance, I quickly became addicted to Elizabeth Lowell’s Silhouette Desires, and later, her standalones (her medieval and her Western series). Oh my God, she was just amazing, and more than any other author, she was the one who lit a fire under me to give writing romance a go. There was something so visceral about the way she wrote — I could see pictures in my head and my heart would race and I would read her stuff over and over again. 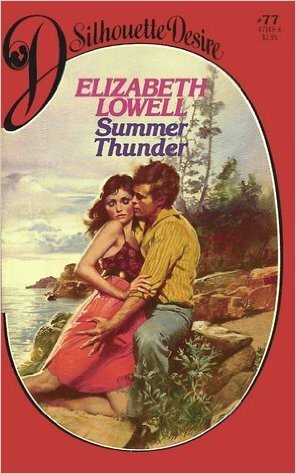 To this day, I sleep with Elizabeth Lowell’s 1983 release Summer Thunder next to my bed. In fact, I just went over and picked it up so I could look at the red cover with its oval portrait of the hero and heroine on a rocky shore. It’s Silhouette Desire #77 and it cost $1.95. It’s there to remind me how I got started and why I write: for the love of story and romance and that feeling you get when it’s 2 in the morning and you’re dead tired, but you have to keep reading because it’s just too good to stop. Yes, times have changed and so have heroes and heroines, but the core of what makes readers happy has remained the same: Does the material touch you, resonant with you, stick with you? Do you feel yourself in the pages, see yourself walking in another person’s shoes, hear the voices as they speak? Are you in love with the way they are in love? In fact, I have all of Elizabeth Lowell’s first editions, or the editions as I read them first. The pages of the paperbacks have yellowed around the edges, and the spines are so cracked that the gloss and coloring has cracked off, and some of the covers are hanging at bad angles and split on corners. I love these books. They are among my most treasured possessions. I have carried them in boxes through college, law school, apartments and then houses. They have seen me through my darkest moments and inspired me to my greatest joys. I sometimes get scared thinking what would have happened to me if I hadn’t started writing. I literally cannot imagine another life. And Elizabeth Lowell played a huge part in getting me on the right path. SK: Lastly, is there anything else you want to add that I missed? JRW: Well, other than the fact that I apologize for not being able to answer two questions as you asked! Hmm. The only other thing I’d add is that I’m so very grateful to the readers who put down their hard-earned money to read what I write. They don’t have to do that. They choose to. And I try and earn that trust every time I put out a book. I know that sometimes the stories head into challenging territory *cough*TrezandSelena*cough* and I respect that that can be hard. It’s a wonderful journey, though, and I’m so glad we’re all on it together!